In my last post I shared a bit about Nathan Hatch’s recent chapel talk at Wheaton on “the redemptive power of the past.” (See here.) Hatch, a Wheaton grad who is now president of Wake Forest University, began his case for the importance of history to Christians with a pair of vignettes about two of his classmates, pastor John Piper and historian Mark Noll. In the course of his remarks about the latter, he quoted extensively from Noll’s most recent book, which I immediately purchased and read. Now that Thankgiving has come and gone, I want to tell you why you need to read it. 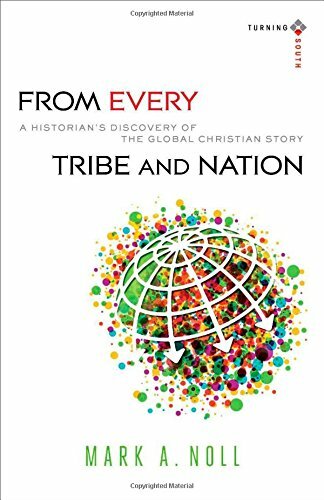 The book that Hatch read from is Noll’s From Every Tribe and Nation: A Historian’s Discovery of the Global Christian Story. The book is part of a new series from the Christian publishing house Baker Books. The series is edited by Calvin College professor Joel Carpenter, and its goal is to educate U.S. Christians about the spectacular explosion of Christianity in other parts of the world, most notably Asia, Africa, and Latin America. To do that, Carpenter has invited several prominent scholars of American Christianity to write autobiographical essays about their own growing engagement with Christianity in the global South. Noll’s book is the third volume in the series. If you’re not familiar with Mark Noll, here is a bit of background: Noll is an alumnus of Wheaton College, where he majored in English and graduated in the same class as Nathan Hatch and John Piper, among others. After briefly studying comparative literature in graduate school, he redirected his attention to the history of Christianity, a field which he has mined relentlessly and brilliantly ever since. He is the author or editor of over fifty books on the topic and shows no sign of slowing down. I have read eleven of those books. The first work by Noll that I ever read was his 1994 book The Scandal of the Evangelical Mind. 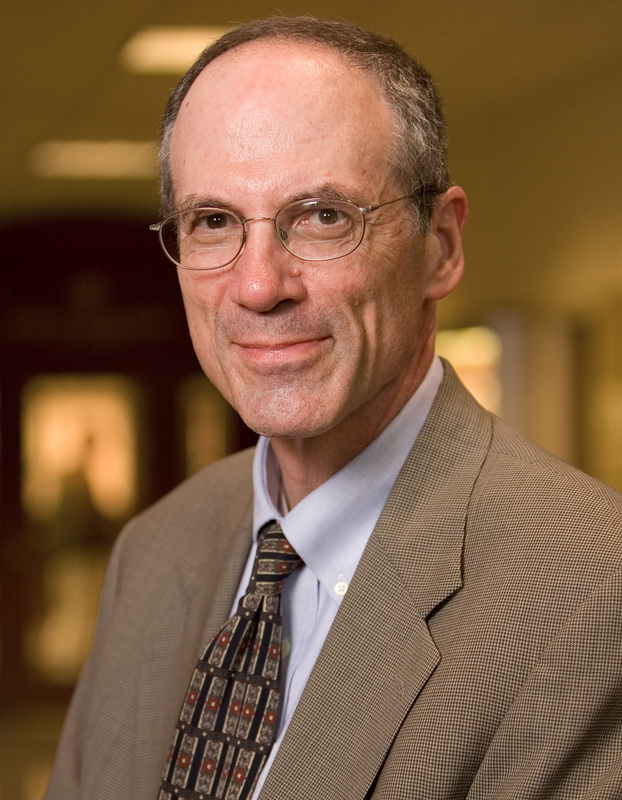 Reflecting on his career, Noll recently observed, “As someone called to function as a scholar, it has long seemed to me imperative that at least some Christian believers should be thinking hard about why and how Christian believers should be thinking hard.” Scandal was one of the first fruits of that sense of calling. It was the first book that I had ever read that spoke so directly to the intersection between Christian faith and the life of the mind. From its memorable first line–“The scandal of the evangelical mind is that there is not much of an evangelical mind”–I was hooked. That first sentence notwithstanding, Noll’s primary goal in Scandal wasn’t to condemn evangelical anti-intellectualism but to explain it, and in explaining it, to exhort his brothers and sisters to greater faithfulness. (“This book is an epistle from a wounded lover,” he explained in the preface.) The book remains one of the two or three most personally influential books I have ever read. The books that I read after Scandal reflected the range of Noll’s scholarship. They included sweeping surveys such as The History of Christianity in the United States and Canada, The Rise of Evangelicalism, and America’s God: From Jonathan Edwards to Abraham Lincoln. Some were more focused works, for example Christians in the American Revolution and The Civil War as a Theological Crisis. And some were expressions of that sense of calling to think hard about why Christians should think hard, including Noll’s 2013 sequel to Scandal titled Jesus Christ and the Life of the Mind. Despite endless repetition about the fullness of God’s grace, it was all too easy to absorb an image of Christianity defined almost entirely by what you did nor did not do, entirely equated with a short list of propositions that had to be believed, or practically reduced to my conversion experience and the need to convert others. Noll hastens to clarify what he is not saying: he is NOT suggesting that Christians aren’t called to purity, that right belief is unimportant, that conversion is not essential, or that evangelism is optional. He IS suggesting that these emphases, when they comprise the entirety of our faith, are incomplete and in the long run debilitating. It was a mistake to leave the impression that moral behavior constituted Christian faith. It was also a mistake to think that my checklist of proper beliefs amounted to Christianity as such. And it was a mistake to let the reality of conversion crowd out other Christian realities. So by what path did God lead him to a deeper, more vital faith? To quote a famous essay by C. S. Lewis, it was through “the reading of old books.” American evangelicals, like modern Americans generally, are “stranded in the present,” to quote a haunting phrase by Christian historian Margaret Bendroth. (For more on her reflections, see here.) We cut ourselves off from the vast majority of all the Christians who have ever lived, implicitly assuming that we have nothing to learn from those who have gone before us. You can see this “chronological snobbery” on display in almost any commercial Christian bookstore. The shelves will bulge with the latest hastily written book from the pulpit celebrity of the moment, but good luck finding anything dating to the first nineteen centuries of Christian history. In other words, the riches of classical Protestantism opened a new and exceedingly compelling vision of existence. 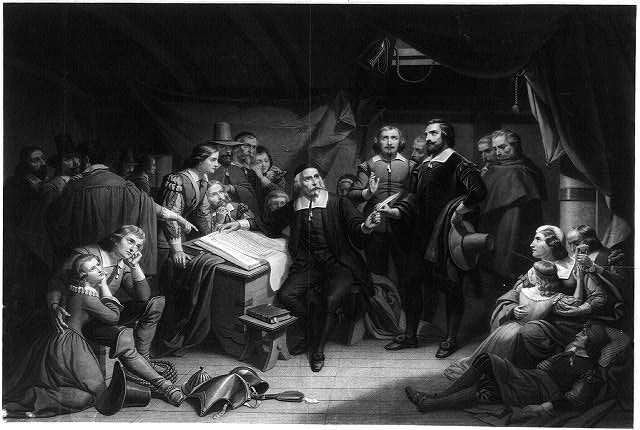 Intellectually, theologically, existentially, I was rescued by the Reformation. This entry was posted in Recommended Reading and tagged "On the Reading of Old Books", C. S. Lewis, Christianity, From Every Tribe and Nation, history, Mark Noll, Scandal of the Evangelical Mind. Bookmark the permalink.